Use code SCL50 to get 50% off your first order of either Gallery Wraps, Wood Prints or Metal Prints. Order up to 3 prints, size 16″x24″ and larger. This code is one-time use only and only for new customers. 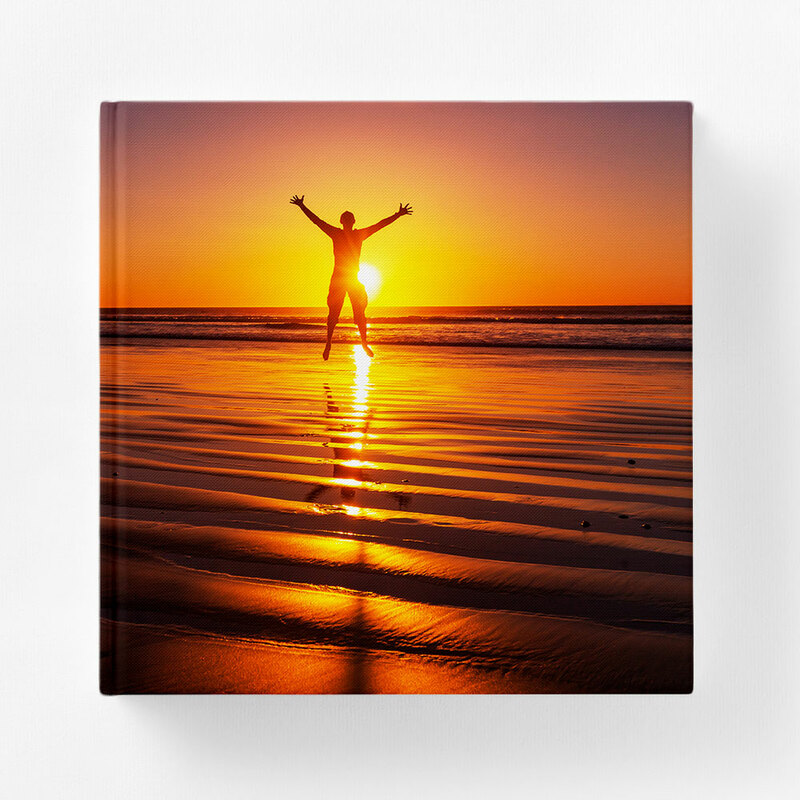 Simply Color Lab’s Canvas Gallery Wraps puts your stunning photo to canvas and is carefully stretched around a custom frame and stapled on the back, so all your clients see is your captivating image! Over 5,000 sizes available in Traditional or Metallic. 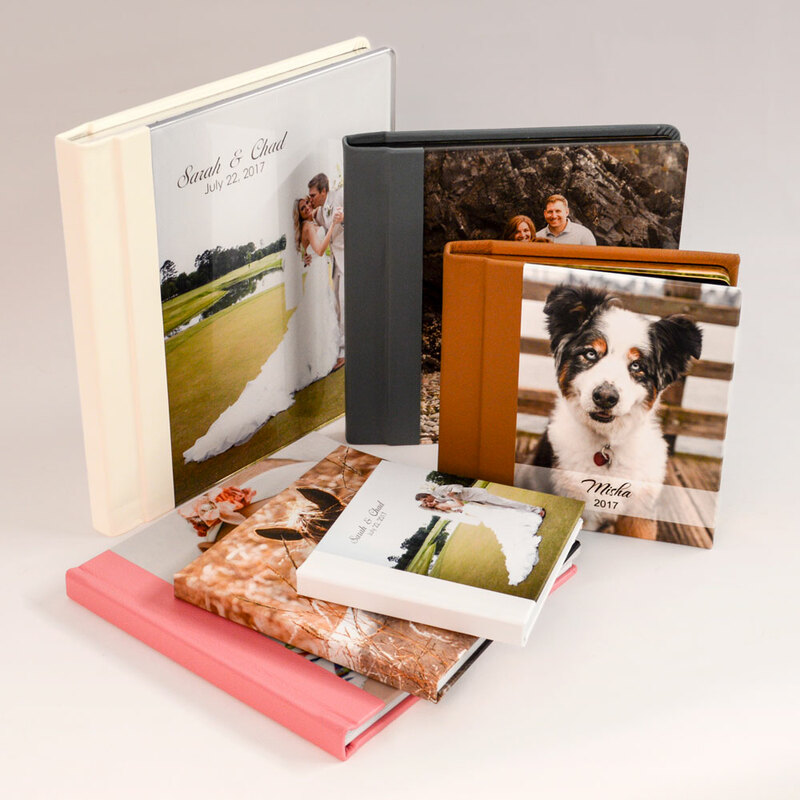 And, custom design your prints to meet your clients needs by personalizing them with all of our custom ordering options. How do I order in ROES? 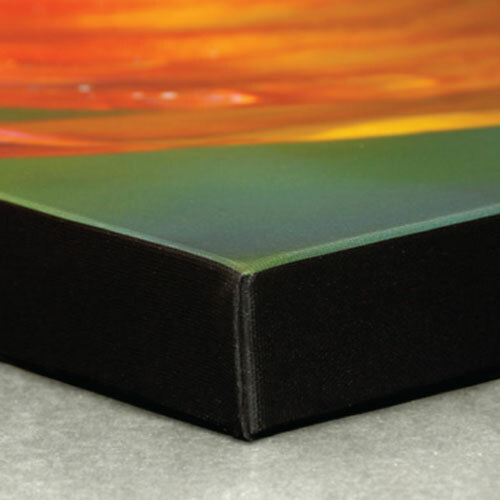 To order Canvas Gallery Wraps select “Canvases” in ROES. What is the production turn-around time? What is the shipping turn-around time? 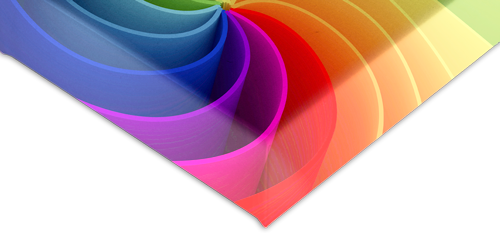 How do I file prep for Canvas Gallery Wraps? The first step is to correctly setup your file for printing. Whatever your target size is for the front face of the canvas, you want to add an additional 4 inches for the height and the width. This will create a 2 inch border on each side for the wrap of the canvas. Second, pull your guide lines for your rulers in Photoshop 2 inches from each edge. This will create the template for your target size. Anything inside the guides will be on the front face of the canvas. Anything outside the lines will be the wrap of the canvas. 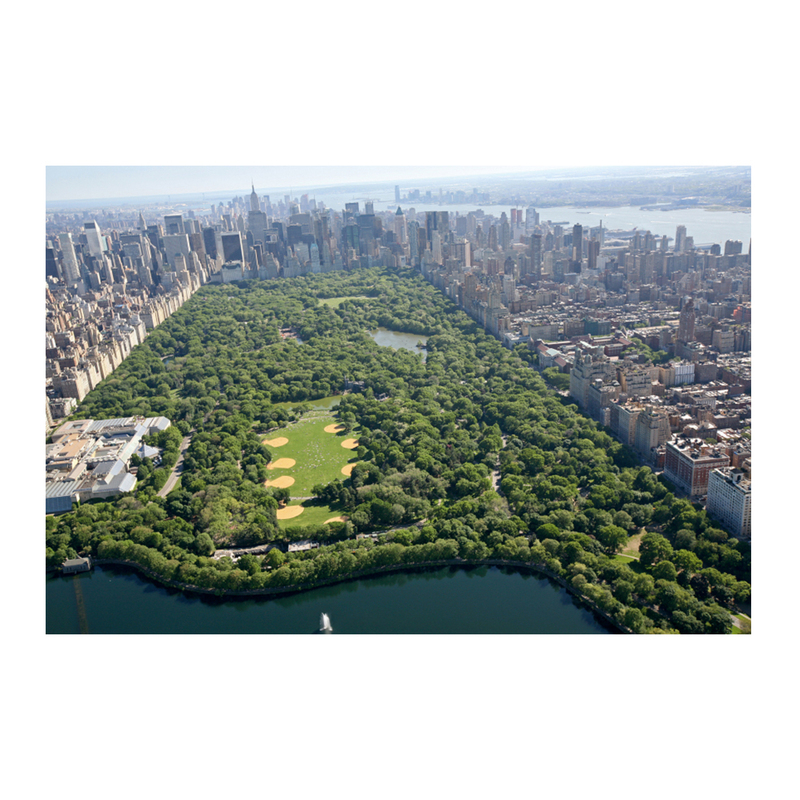 Third, drag your image into the template and adjust the image to the cropping of your choice. Use the guides for placement of your image. 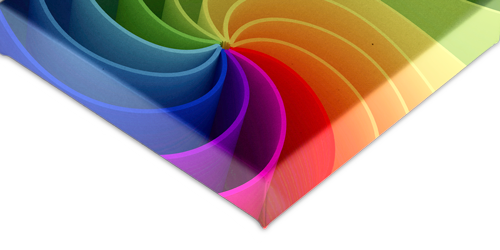 For example, if you are ordering a 16×20, the file would need to be set up as a 20×24 at 100ppi. 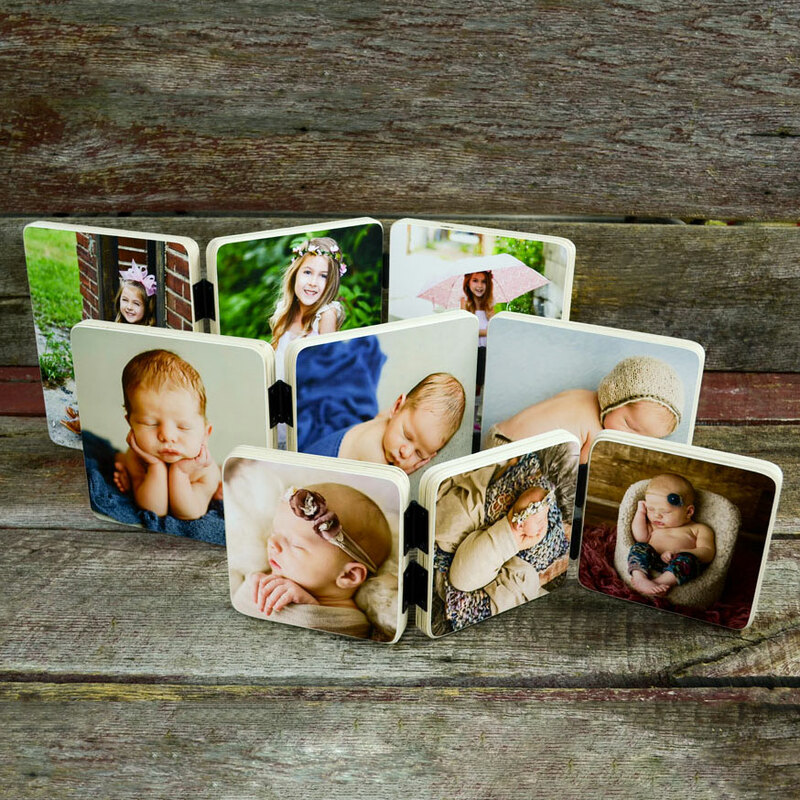 What border wrap options do I have for my canvas gallery wrap? 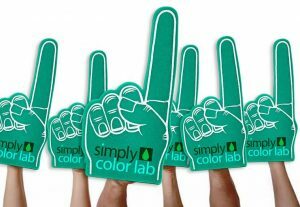 Simply Color Lab offers three canvas border options. 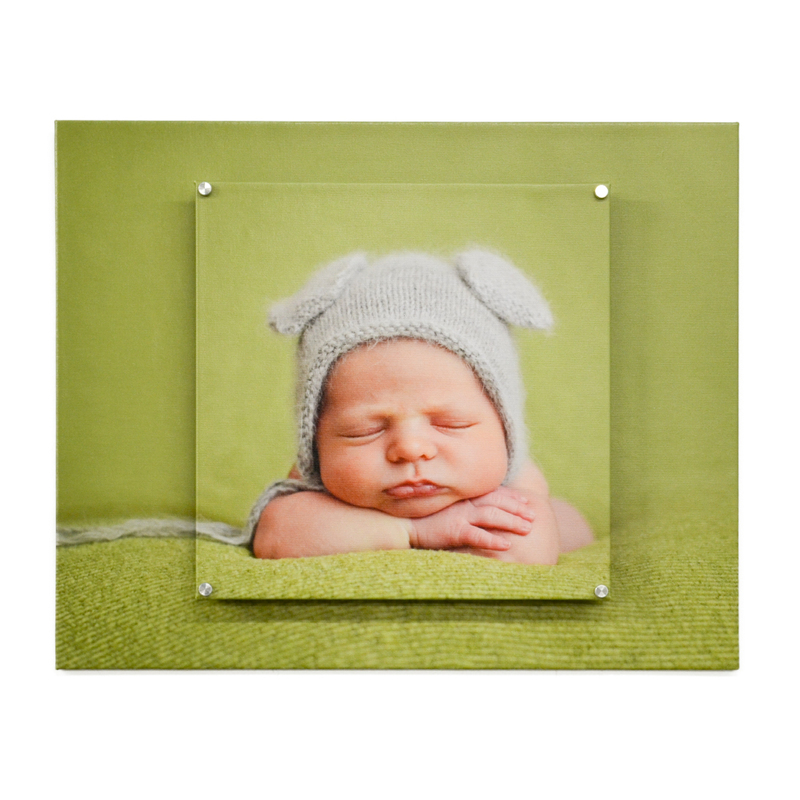 You can choose a natural wrap, solid border (any color of your choice) or digitally stretched. See our video tutorials that explain how to setup up these options. What is a natural wrap? 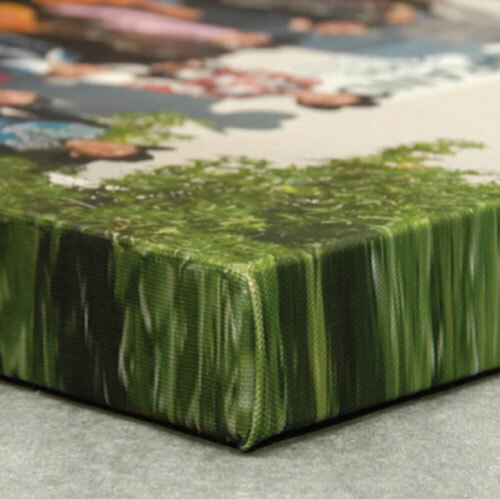 Natural wrap means that your entire image will continue to wrap around the sides of the canvas frame. No adjustments have to be made to your file to make it fit for the wrap. Loose shot images work best for a natural wrap. A tight composition results in the subject of the image wrapping around the edges of the border. 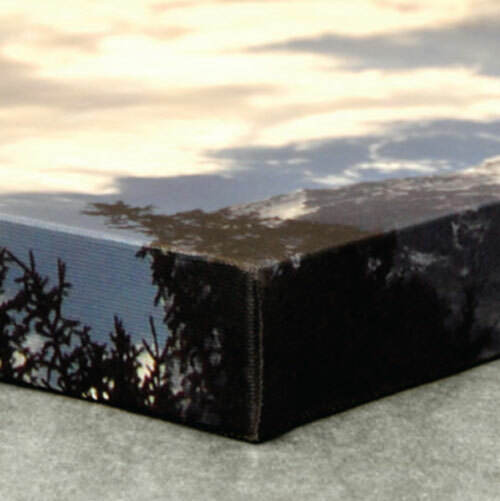 Digital stretching is a printing option for the sides of the canvas (wrap). 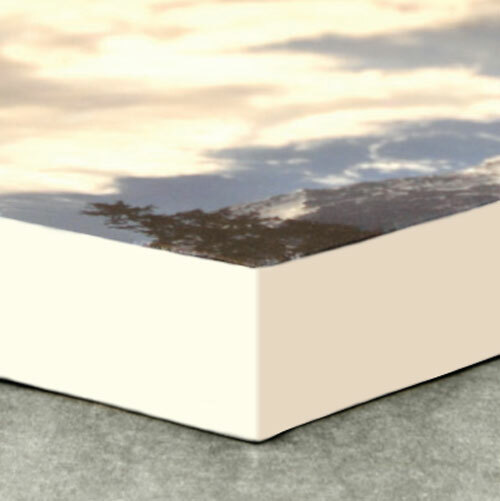 It means that we take a slight piece of our image on each side and stretch it to make it fit the sides of the canvas. 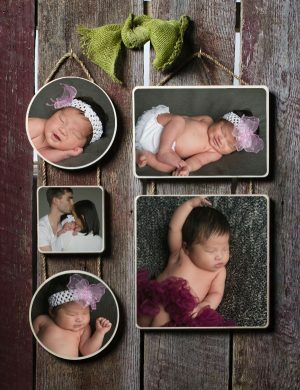 This will give you the effect of your image looking naturally wrapped around the frame. The more of the image we stretch, the more the image will look distorted. The less we have to stretch the image, the less it will look distorted. Keep in mind this applies to the sides of the canvas only, not the face of the canvas. 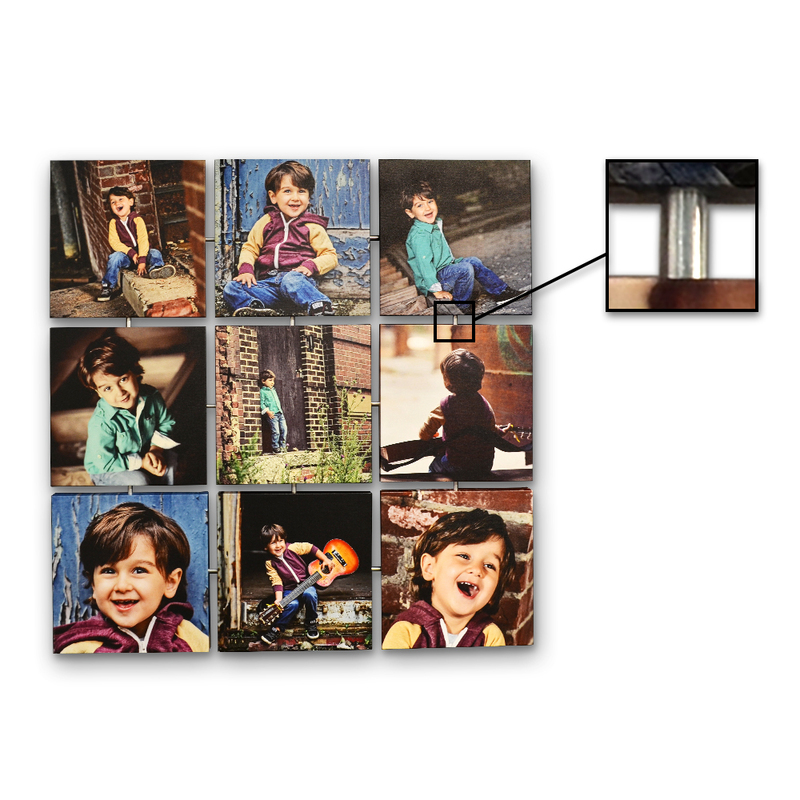 You would choose this option if you do not want to lose your cropping for the front face of the canvas. 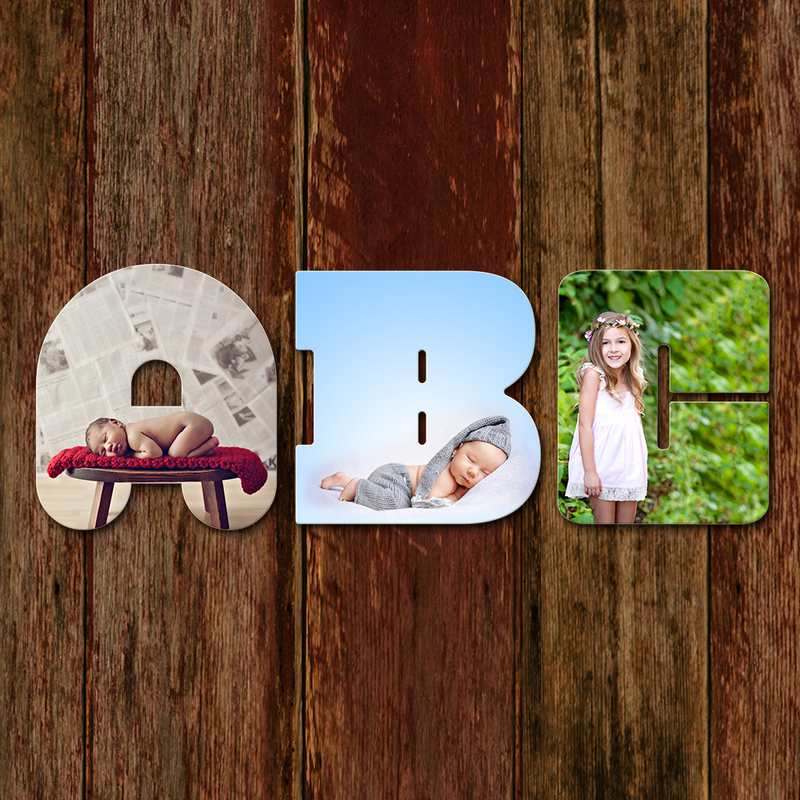 If I want to order my image with a border or digital stretch in the ROES software, how do I do that? 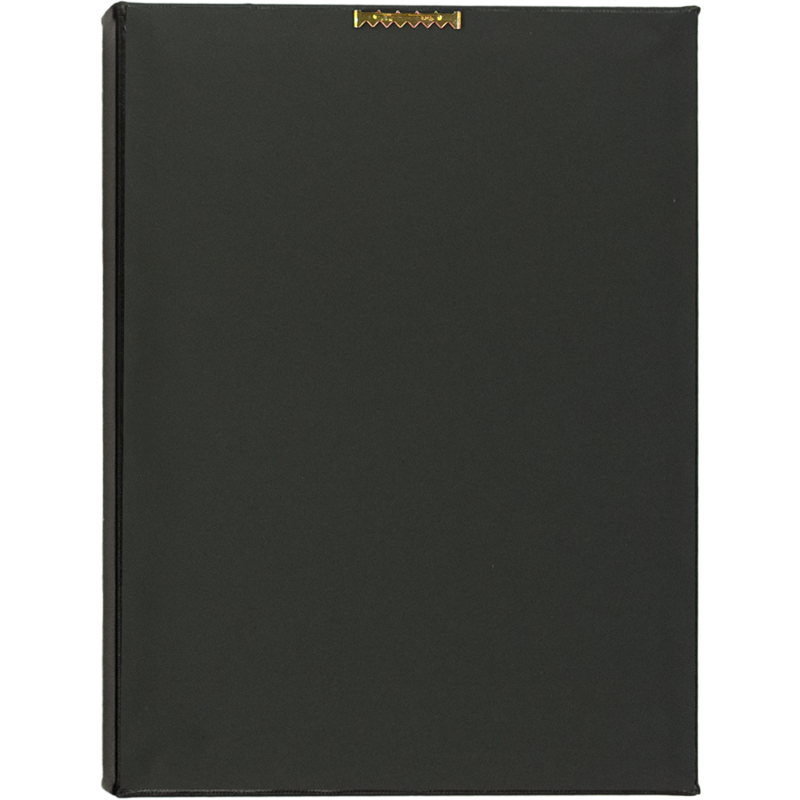 You will first want to select Canvases located in the Catalog menu of ROES. Click on the Border/Digital Stretch tab and choose your sizing template below. Drag and drop your image into the template. You will see the front face of your image and the blue shaded area where the image will be wrapped. 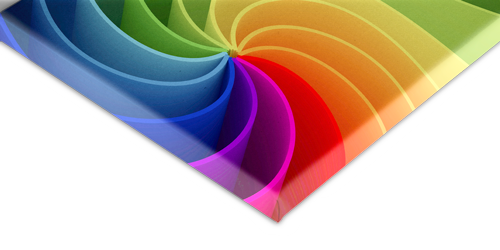 Next, please choose a white, black, colored or digital stretch option for your border. How do I size my photo on ROES to allow for the natural wrap? 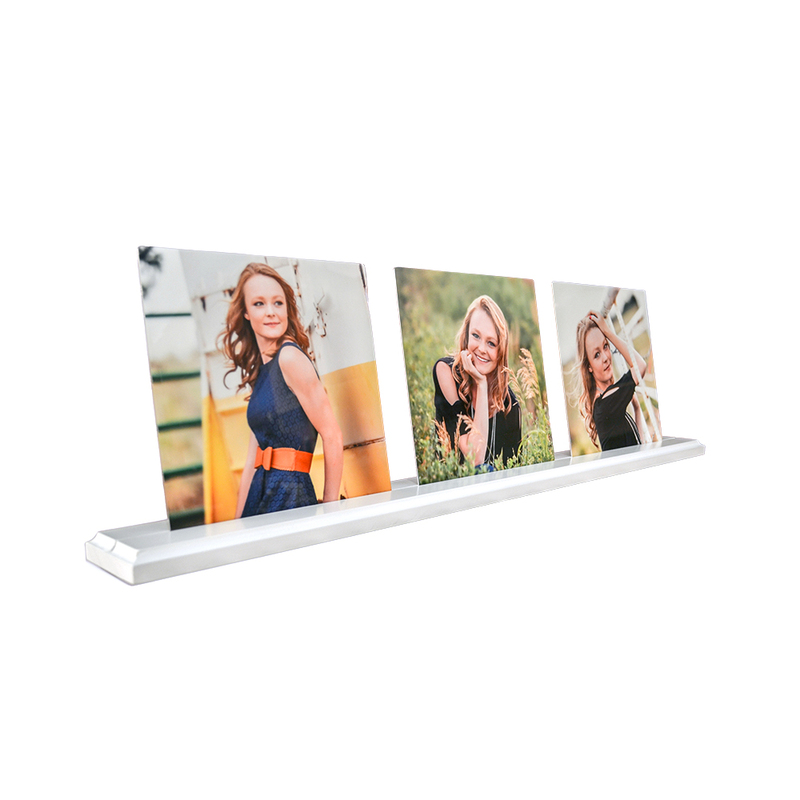 If you’re ordering a .75” or 1.5” frame, add 2 inches to the height & width in Photoshop. That means 2 inches for the height (top & bottom of image) and 2 inches for the width (left & right sides of the image), giving you a total of 4 inches per dimension. 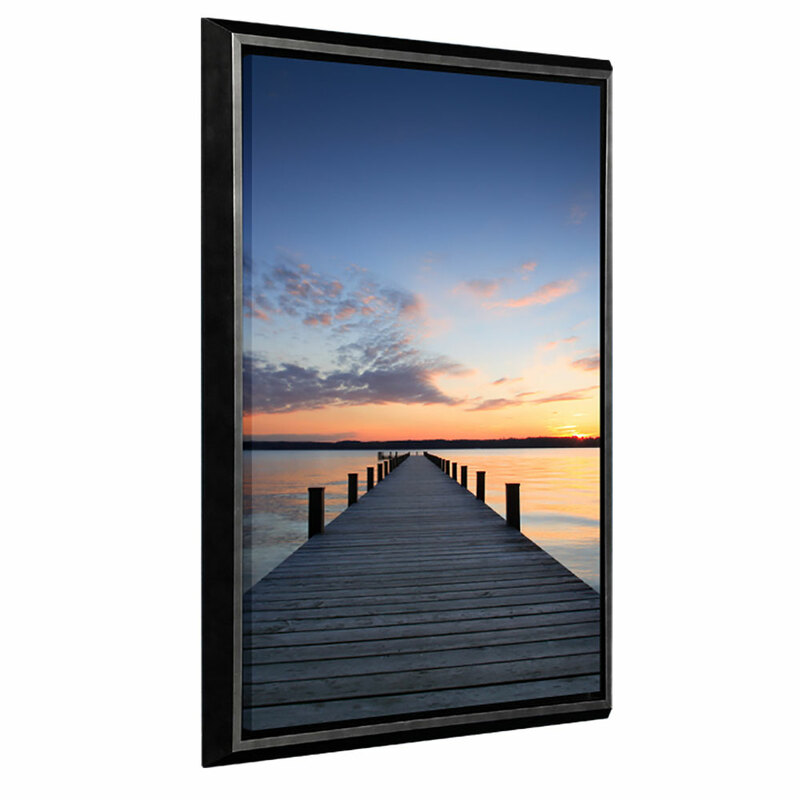 If you’re ordering a 2.5” frame, add 3 inches to each side. 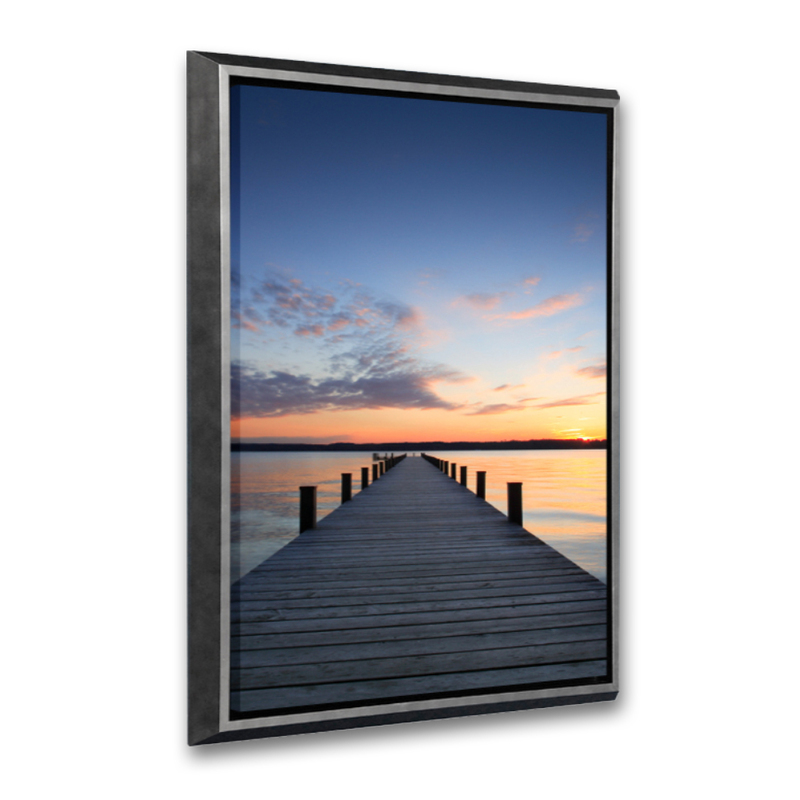 Example: If you want a 20×24” canvas with a 1.5” frame, you’ll need to size the image to 24×28”. 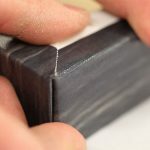 Can you print word wraps? Yes, we can. We are one of the only canvas companies to print word wraps. 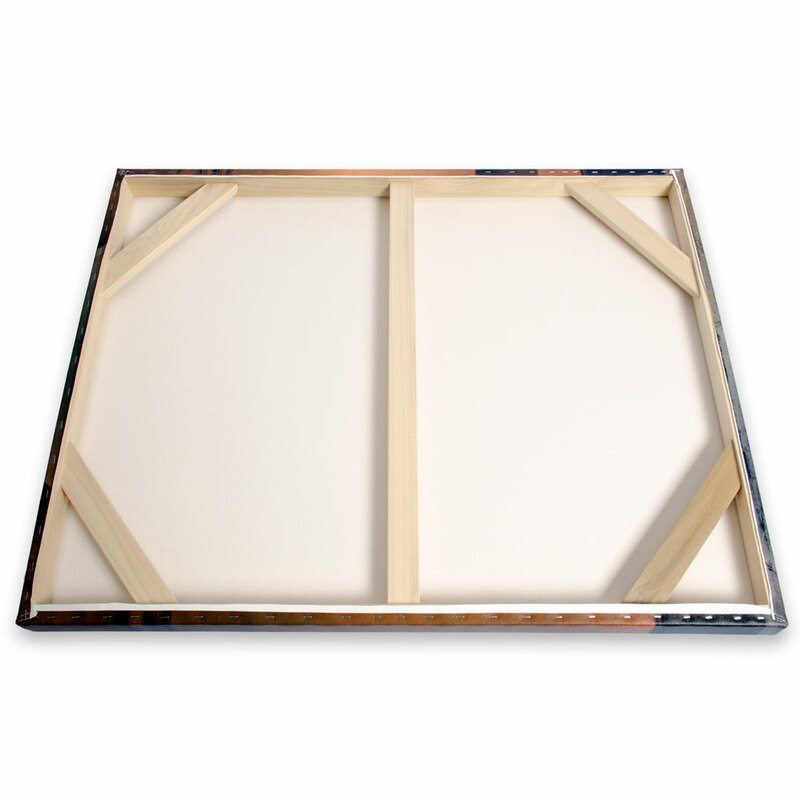 Our stretchers will make sure your word wraps and borders are aligned perfectly on the frame. How do I set up my file for a word wrap? First, determine your target front face size of your canvas and add 4 inches to the height and width in order to allow a 2inch border for the wrap of the canvas. Pull guides from your rulers in Photoshop at 2 inches from each edge to verify your template for your target size. Anything that lies inside the guides will be on the front face of the canvas and the border you created will be the wrap of the canvas. Next pull another set of guides a ½” further inside of each edge. You have 1″ to work with for the text. Make sure the text is between the two guides. 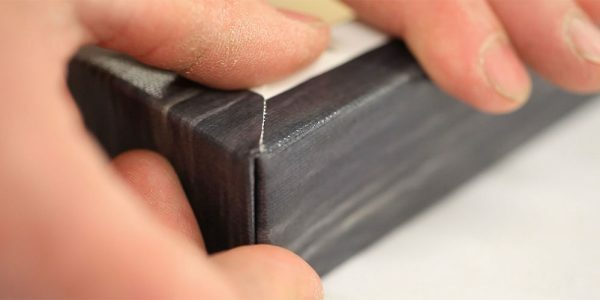 Your text will be on the sides of the canvas and not wrapping around to the back edge. 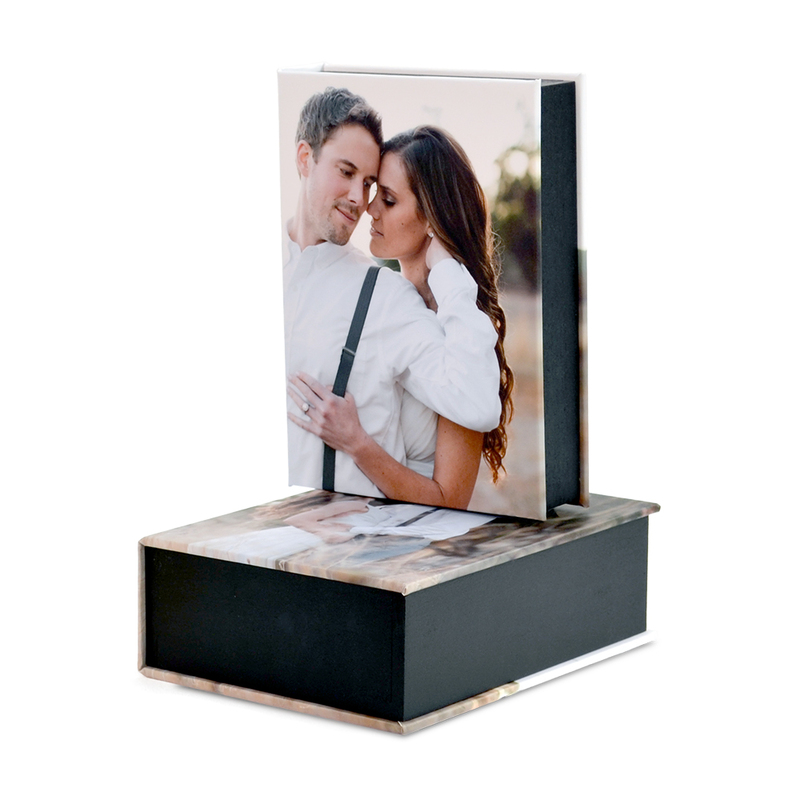 Turn your clients’ prints into art by framing them in a custom Floating Frame! All hand-made collections are offered in a variety of colors and are available for canvas prints and metal prints. 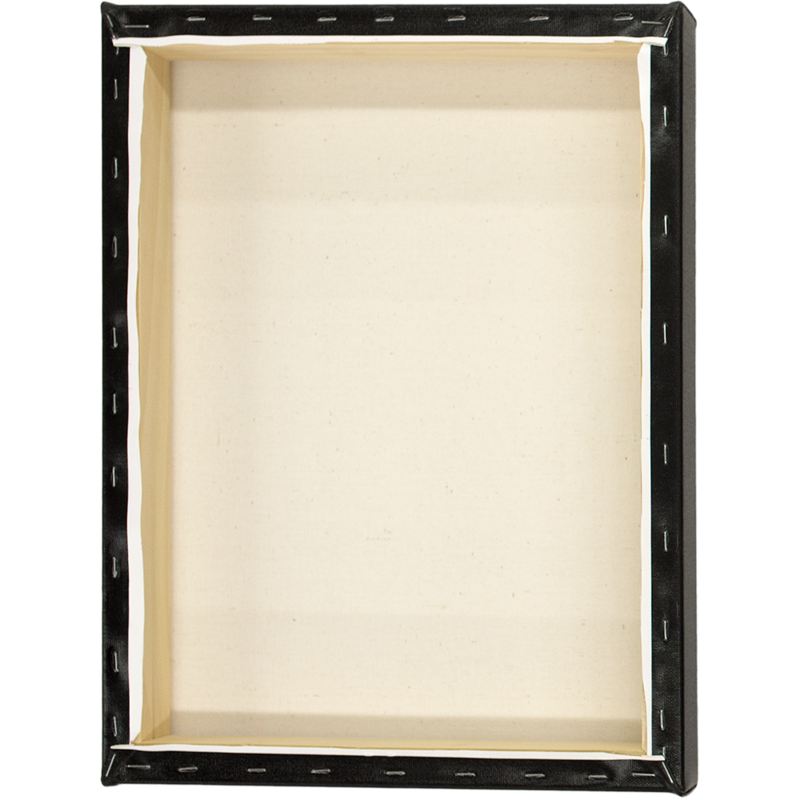 Our exquisite solid wood frames are hand-crafted by professionals and mimic traditional custom framing, but offer wider side panels. 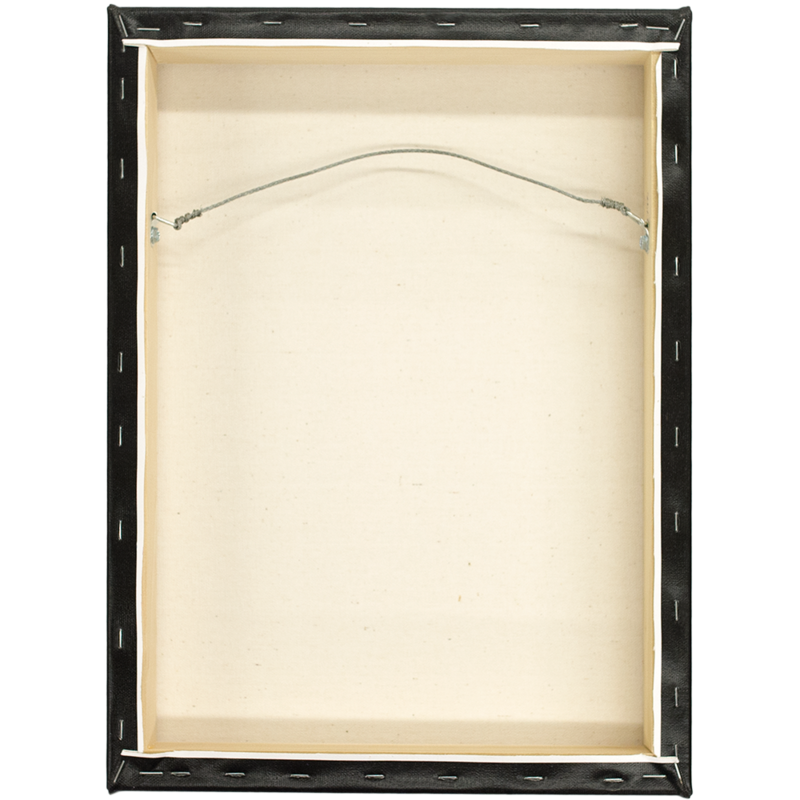 A half inch space is left between the canvas and the frame to achieve a three dimensional look without the extra cost of matting or glass. 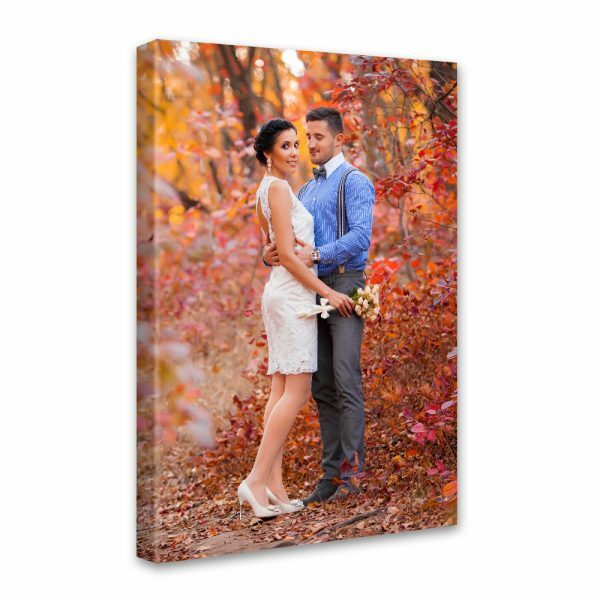 *Enter code SCL50 in the Discount Field in ROES to receive 50% off– up to 3 Gallery Wrapped Canvases, 3 Wood Prints or 3 Metal Prints size 16×24 and larger. This code is a one-time use only and must be 3 of the same product (Not same size or same image) only one OR the other. Includes Floating Framed Canvases & Framed Wood Prints. Options are included. 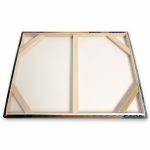 This does not include shipping or rush fees & cannot be used on Canvas Backdrops, Canvas Blocks, Canvas Clusters, or Wood Clusters. This offer may not be applied to previous orders, or combined with any other sales, offers, discounts, gift certificates, Canvas Cash or Simply Cash. When ordering through ROES, the price seen at checkout will be the full product price, but your card will not be charged until you get an adjusted invoice with the discount applied. Due to the volume of orders during sales, turnaround time may be longer than usual. Contact Customer Service for expedited shipping & turnaround options if you need your product sooner. Code is only valid on the product listed above; cannot be traded for cash or other products.